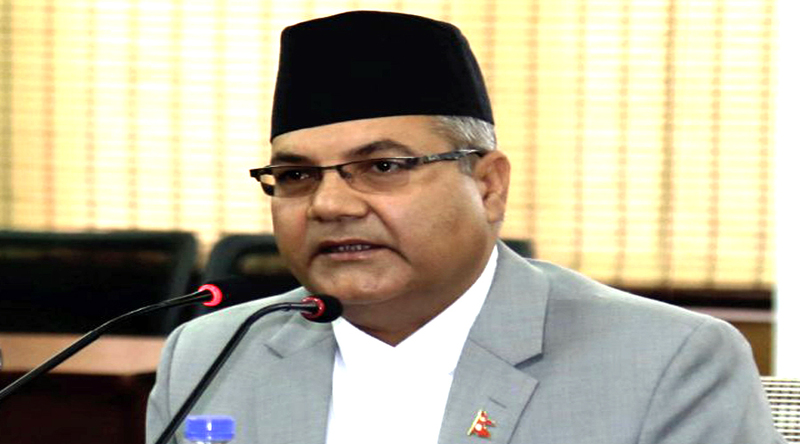 Kathmandu – Minister for Communications and Information Technology Gokul Prasad Banskota has directed the Ministry and chiefs of its subordinate bodies for effective implementation of annual policy, programmes and budget on time. Releasing Integrated Action Plan of the programmes to be run by the Ministry in the current fiscal year 2018/19 today, Minister Banskota urged all to work actively to fulfill the mission of prosperous Nepal after producing good results being based on the policy. The Ministry has released the Integrated Action Plan in a different way as compared to previous years on various issues including building Digital Nepal, formation of Public Broadcasting Service, modernization of postal service and improving quality of Telecom as well as simplification of legal and policy-level issues of Nepal Telecom. Minister Banskota said, "It is necessary to spend budget by concluding works as per the target on the slated timeframe as well as to involve in economic growth." He further said that the trend of saying the budget was not enough to carry out works in just before budget release should be ended. The Communications Minister said, "We will ask for the progress details in every three months and will carry out technical monitoring on it." He said the box office would be expanded to outside the valley as well. An action plan booklet created by the Ministry includes issues like a policy related to the development of communication and information sector in line with the constitution, review of laws, restructure of communication sector as per the federalism, implementation of the national mass communication policy and regulation of broadcast media. Likewise, it has emphasised the access and expansion of radio, television, telephone and internet, the broadband infrastructure expansion for telecommunication service and reconstruction of infrastructures destroyed by the earthquake of April, 2015.